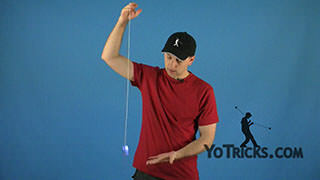 Learn the Dog Bite yoyo trick. 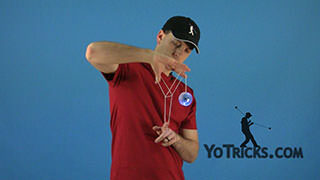 Dog Bite Yoyo TrickThis trick is called the Dog Bite. It looks like this. 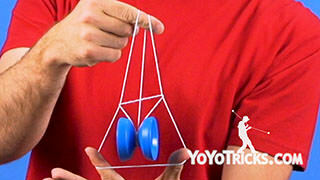 See the yoyo just grabs onto the slack in a piece of clothing, in this case my pants. 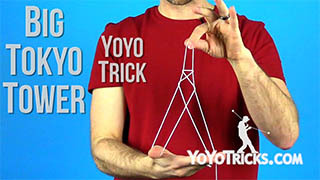 That is really the whole trick. 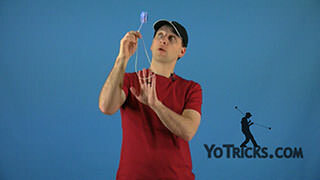 To do this trick what you really need are just two things: you need a yoyo that is responsive, of course, it helps if it is a really thin yoyo. 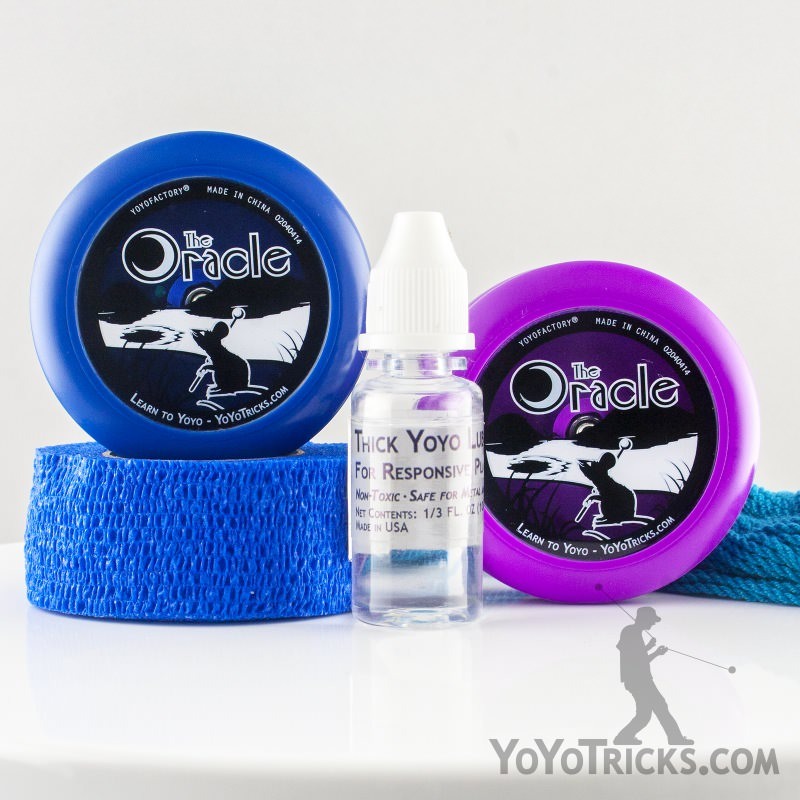 Pretty much any yoyo that is good for looping or 2A tricks, those are going to work for the Dog Bite the best. 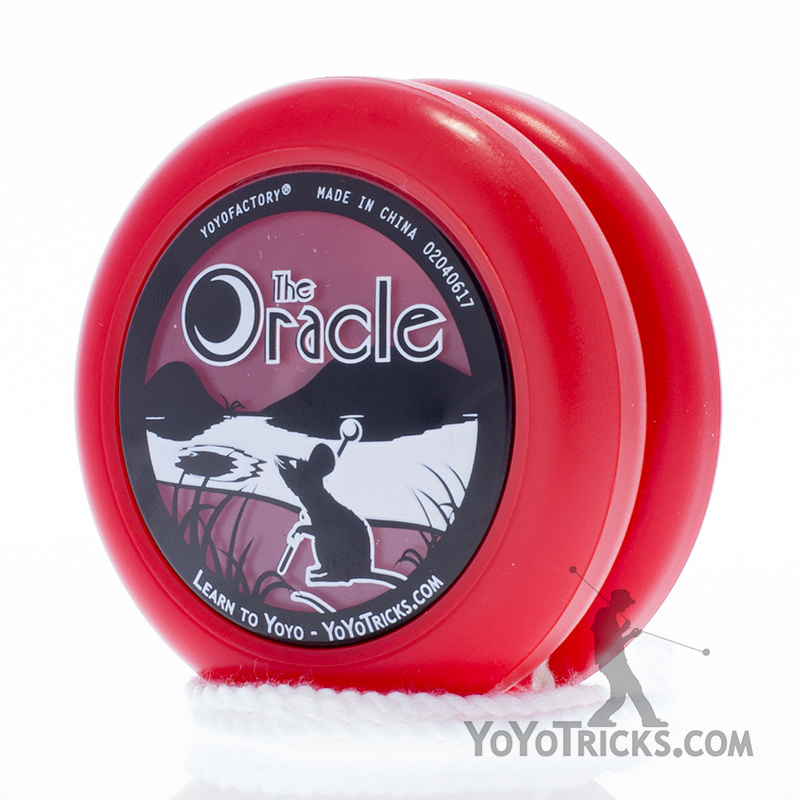 If you have a wide yoyo there is not as much there for it to grab onto whatever piece of clothing you are going to use. The second thing is that you want to make sure to have some piece of clothing that has a little bit of slack to it. 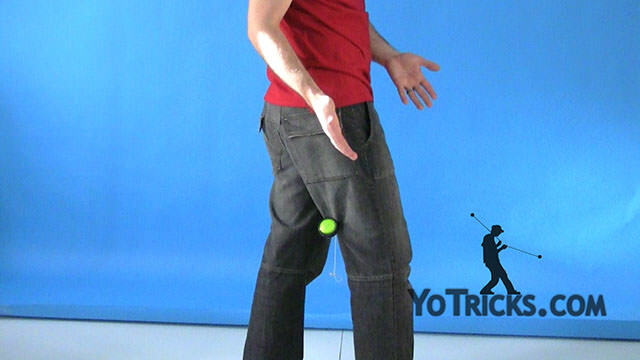 If you are wearing skinny jeans or clothes that fit you really well it is actually going to be pretty difficult to do this trick. If your jeans are too tight then maybe you have a shirt that is a little bit looser, or a jacket, you can do it with that, and all the principles are still the same. 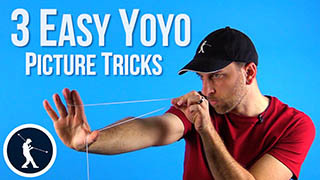 To do this trick, what you really want to do is you kind of want to throw the yoyo out with a little bit of an arc. just like this. 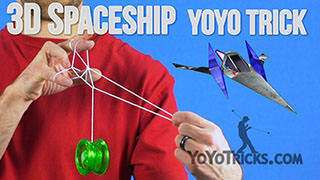 You want the yoyo to pass right by whatever piece of clothing it is going to attach to. 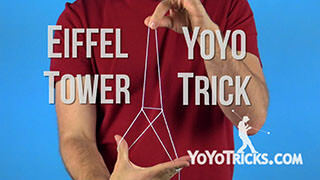 You want the string to just barely touch the clothing at one point. The reason for that is when you pull the yoyo back it is going to hit the clothing at whatever point the string is attached to it. You just want it to barely touch. 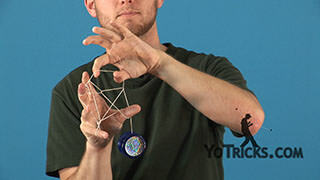 If it is really making the string bend, if it is wrapping around your leg or something, then the yoyo may arc around your leg, and that is not going to work. Again, just get a good arch on it, pull it between your legs. It is pretty hard to do it 100%. 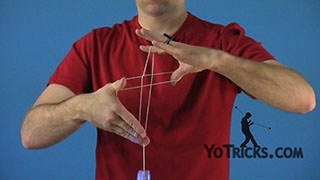 Now if you are doing this in a performance one thing you may want to do is actually take the yoyo right off your hands. That way they can see the string dangling. If an audience is watching it, it may not be obvious what just happened. 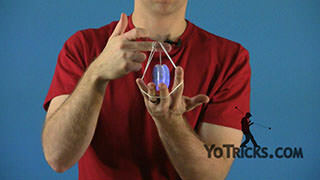 If you take it off your finger they can see that it is hanging there. When you do that, to really make it extra funny, you can fein like you are in pain. Like, Oh no! That type of thing. A lot of times kids will find that funny. Sometimes adults will try not to laugh, but they think it’s funny too. That’s all there is to it. Make sure you get a good solid throw. Again, just let it barely touch your clothes. If you are going to do it around your pants, then what you want to do is bring your hand really close to your pants so that it can pass way by, and then come back. 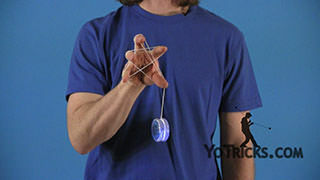 If you hand is a little bit too far in front of your body then the yoyo won’t go back far enough, it won’t have the momentum to grab onto your pants. That’s pretty much it. 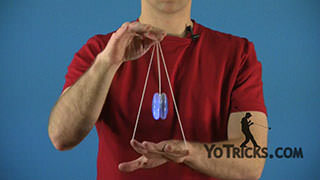 Once you get used to it you can really use it to great effect in shows and performances. Like I said, if you play it up just right people really find it funny. So that is the Dog Bite.